PetSmart are one of the largest retailers in America for pets and pet supplies. At the online store, find a huge range of products for your dog or cat, along with a mammoth selection of reptile supplies, aquariums and accessories and so much more. PetSmart also offer a range of services including grooming, dog training and pet hospital services. Shop in-store or online at PetSmart.com. PUMA Shop Kids' Sale at PUMA! 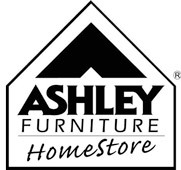 Ashley Furniture Best Sellers Plus Free Shipping at Ashley HomeStore!